A Catholic theologian with a knack for Hip-Hop. I posted on him earlier as he countered the message of a HIP-HOP artist who had a Non-Religion misconception. When one thinks of the common characteristics associated with Catholic priests, the ability to rap and produce hip-hop music is not likely to come to mind. After all, many of the themes that modern-day rap artists embrace are, shall I say, less than Christian. But such a seemingly impossible amalgamate hasn’t prevented Father Claude Burns from doubling as a Catholic leader and a successful hip-hop artist. 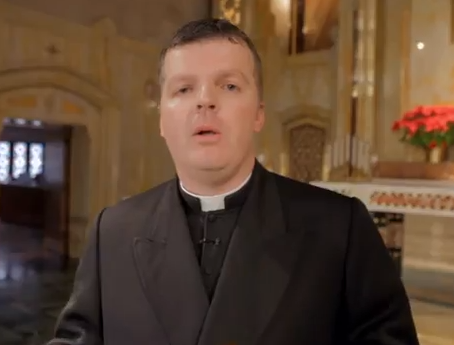 The Indiana-based faith leader, whose stage name is Fr. Pontifex, is defying stereotypes and making catchy music along the way.